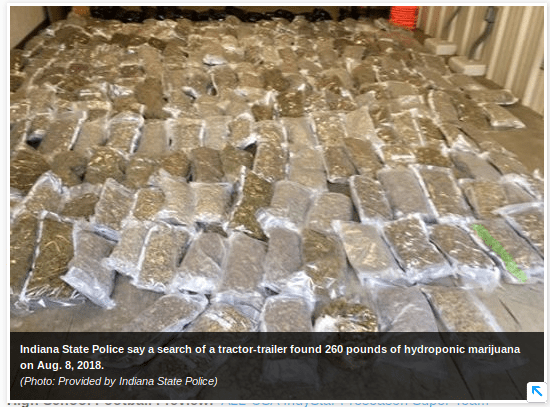 A car inspection on I-70 led to the discovery of $1 million worth of marijuana hidden in fresh lettuce, Indiana State Police said Wednesday. A tractor-trailer traveling eastbound was stopped near the 41 mile marker around 7:30 a.m. in Putnam County for a routine inspection, State Police said in a news release. 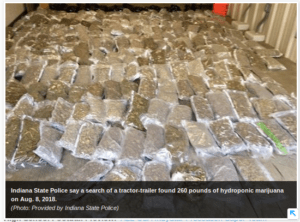 A search of the trailer found 260 pounds of marijuana in a load of fresh lettuce that was being transported from Colorado to Florida, according to ISP. The two men in the truck, both from Florida, were arrested on felony charges of dealing marijuana. They were taken to Putnam County Jail, police said.